How does a human survive in an alien dominated InterGalactic Community? By becoming an assassin, of course. At least, that’s what Leopold thought when he became an assassin for the elite. Pretending to be an alien known as Voidstriker, Leopold feeds his appetite for vengeance, killing aliens as well as taking their money. It's a win-win to his mind. That is, until a bounty is placed upon his head. With his true identity now revealed to the IG Community, Leopold knows it's only a matter of time before the powerful family members of his victims come for blood. Far worse is the fact that the one who put the bounty on his head, is the one he most fears. A routine job three cycles ago brought him face-to-face with Mastrodai, a prince of the powerful Mrrog Nation. 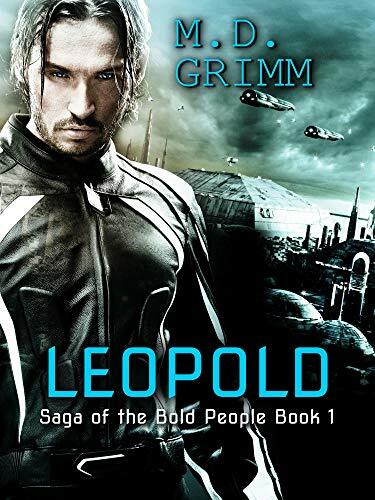 Not only did Leopold—accidentally—destroy part of Mastrodai’s moon, but one glimpse of the mighty alien had him feeling desire for the first time in his life. He ran, and like predator after prey, Mastrodai never stopped hunting him. Leopold is convinced that Mastrodai wants bloody revenge. But when he finally confronts the mrrog, he is stunned to realize Mastrodai wants something very different. Something surprisingly intimate—the one thing that scares Leopold more than torture.